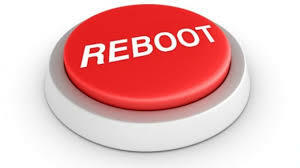 JoAnn Corley-Schwarzkopf | NewSchool Management: Is It Time For A Professional Reboot? Is It Time For A Professional Reboot? In just about a week, I will be conducting a mega-sesssion at SHRM 2015, Las Vegas. I'm so honored and excited to be speaking before such a large group of peers because I have a very important message to share and it begins with the question, "Is it time for a professional reboot?" We all need one now and then. Companies need them and professional associations need them. In my professional arena, both ASTD (now ATD - Association for Talent Development vs. American Society for Training & Development) and NSA (National Speakers Association) either have done so or are in the process of doing so. SHRM decided to retool their certification process. Each felt compelled to assess where they've come from, where they are now and how that fits with current needs and challenges within their industry and those they serve. Change seems to be everywhere. That suggests that the needs of the marketplace have changed and is therefore requiring something different from us. When that happens new skills, capabilities and competencies must develop. I can say this is true in any profession. I believe and can see as a talent management specialist, what's required of us professionally is definitely evolving. To stay professionally relevant, we need to keep up! This message is for everyone. However, I'd like to particularly direct it to my fellow HR professionals. I am seeing that in some cases we are not keeping up the needs of the marketplace. In fact how we see and handle our role might be a bit dated. One of the steps in rebooting is examining how we see ourselves. This is an essential step because how we see ourselves is how we will behave or perform. I feel it's imperative in staying professionally relevant that we, from this point forward, see ourselves differently -- in fact, update our view of ourselves. In my view, we in this profession have an overarching role as talent management leaders and under that umbrella have more specific responsibilities depending our company's needs. If we don't see ourselves from that broader perspective, we will be stuck ten or twenty years back as administrators of personnel vs. leaders of talent management -- see the difference? We and our companies need so much more than administration skill! Yes, your companies need it also. Truth be told many leaders of organizations don't know how you should see yourself -- what you should call yourself. All they know is what they need from you. They don't know who you should be. Don't leave that to them, that's for you to determine in service to them and to your career management. For your professional growth and the growth of your company, I invite you to consider a professional reboot! My session at SHRM, Las Vegas will give you a jumpstart! Session Title: The Ripple Effect - The Power of Your Personal Brand in HR - Monday 4:00 pm. 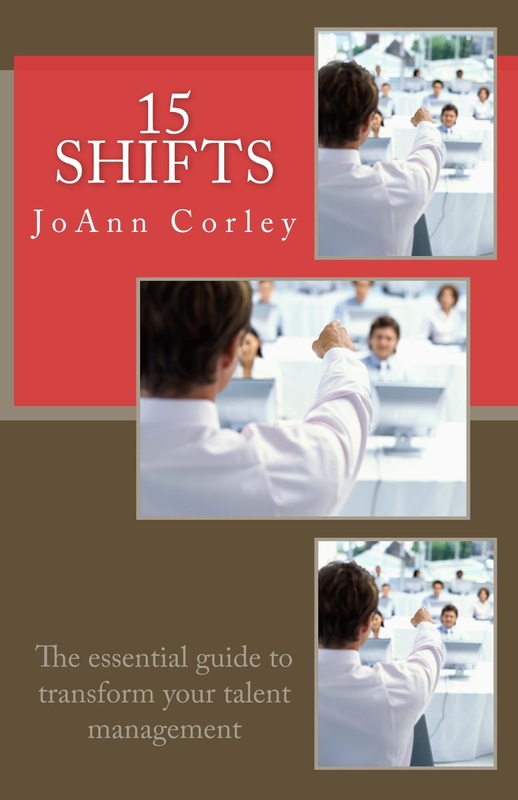 If you're not attending SHRM, I recommend my recently released book 15 Shifts - The Essential Guide to Transform Your Talent Management. It's a book you can share with other key decision-makers no matter their title. 1). Where have I come from? 2). Where am I now? 3). How does that fit with current needs and challenges within my industry and those I serve, through the lens of talent management? 4). Do I see myself as a manager of talent - why or why not?